Данный учитель не набирает учеников в настоящее время. I specialise in IELTS, CAE, business English and advanced general English. I am currently only teaching students with an intermediate or higher level of English. 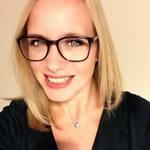 I am a highly qualified and experienced native English Language Teacher from the UK. Book a trial lesson with me and let's talk about how I can help you achieve your goals! I've worked as a teacher, teacher trainer, academic manager and materials writer and have taught in South Korea, Italy, Spain, the UK and online. I specialise in developing conversation skills, grammar, vocabulary and exam preparation. I can help you improve your grammar, vocabulary, four skills (reading, writing, speaking and listening) and English pronunciation. I will help you to achieve your goals in English. Learning a language should be fun so I will do my best to make the lessons enjoyable as well as useful. All lessons will be highly communicative. However, we will also work hard to make sure you learn as much as possible. I want you to be a confident English user. I will correct your mistakes, improve your fluency, help you understand English grammar, develop your vocabulary range and help you with pronunciation. I am currently using Ready for Advanced (CAE), Ready for IELTS and Lingua House resources for general English and business English. I also supplement by using other coursebooks, websites, worksheets and authentic materials. Lessons can be rescheduled with 12 hours notice. I will wait 20 minutes (for 1 hour lessons) or 15 minutes (for 30 minute trial lessons) if you are late before ending the lesson. I am an assessor and tutor for the English Language for Teachers course. Teaching General English, Exam Preparation and General English Online. Also training teachers online. Teaching General English, IELTS, EAP and Pre-Masters to university students. Managing the academic programme and staff development. Training new teachers on the 120hour certificate. Teaching ESOL Entry 1-3 exam preparation classes and general English. Managing the summer programmes for young learners. Creating lesson content for a school based in Canada.